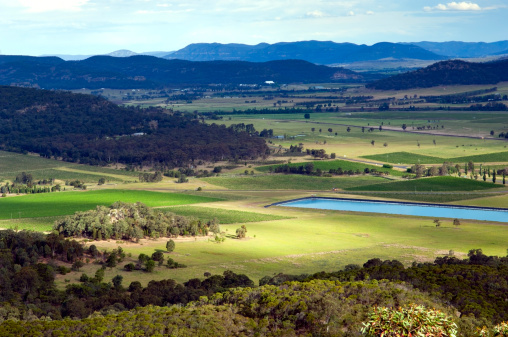 In its recent decision dismissing an appeal against the Land and Environment Court’s refusal of a proposed mine extension, the NSW Court of Appeal has in effect agreed with the LEC’s criticism of economic modelling used to support the Warkworth mine extension application, with implications for economic evidence for future development applications. Mining company Warkworth Mining Limited (with the Minister for Planning and Infrastructure) had appealed the Land and Environment Court (LEC) win by community group Bulga Milbrodale Progress Association Inc. over Warkworth’s proposed extension of an open-cut coal mine in the Upper Hunter. In the LEC last year, Preston CJ refused Warkworth’s application for major infrastructure project approval under the previous Part 3A of the Environmental Planning and Assessment Act 1979. While accepting that the economic impact and positive social impacts were substantial, Preston CJ held that the extension would have ‘significant and unacceptable impacts on biological diversity, including on endangered ecological communities, noise impacts and social impacts’, and that the proposed conditions of consent were inadequate. the Benefit Cost Analysis and Choice Modelling only concerned costs and benefits and did not consider equity or distributive justice. As a result, Preston CJ found that the applicant’s economic modelling evidence was of limited utility for the purposes of evaluating the relevant matters for determining the application. In the Court of Appeal, Warkworth challenged the way the LEC had dealt with the economic evidence. Warkworth contended that Preston CJ used a ‘polycentric approach' to reject Warkworth’s expert evidence. However, the Court of Appeal held that Preston CJ had not rejected the evidence, but rather considered that the evidence was of limited value. Chief Justice Preston had noted the experts’ agreement that the Benefit Cost Analysis and Choice Modelling methods were not a practical tool to measure all non-market impacts, particularly due to the inadequate regard these methods had to those who would be burdened by the development. These forms of economic modelling are generally accepted as some of the better forms of economic evidence in relation to non-market environmental benefits and costs. It will be interesting to see how non-market environmental benefits and costs will be assessed in future cases, and particularly whether the NSW Government’s amendments to the Mining SEPP limit the effect of this decision. The Mining SEPP amendments, which took effect in November last year, make the ‘significance of the resource’ the consent authority’s ‘principal consideration’ when considering a development application. The significance of the resource is to be considered having regard to the ‘economic benefits’ to the State and the region of developing the resource, and advice from the Director-General of the Department of Trade and Investment, Regional Infrastructure and Services. Economic benefits includes employment generation, expenditure, including capital investment, and the payment of royalties to the State. The Mining SEPP was also amended to include ‘Non-discretionary development standards for mining’. These are standards that, if complied with, prevent the consent authority from requiring more onerous standards for those matter. The development standards do not prevent the consent authority from granting consent where the standard has not been complied with. Click here to read the full Court of Appeal decision, or here to read the primary decision of Preston CJ in the LEC. Contributors: Todd Neal, Senior Associate and Elizabeth Sivell, Lawyer. Warkworth Mining Limited v Bulga Milbrodale Progress Association Inc  NSWCA 105 (Bathurst CJ, Beazley P and Tobias JA) (Warkworth v Bulga). Bulga Milbrodale Progress Association Inc v Minister for Planning and Infrastructure and Warkworth Mining Limited  NSWLEC 48 at . Chief Justice Preston described the relevant statutory decision-making process as involving the resolution of a ‘polycentric problem’. His Honour stated, ‘Each decision made communicates itself to other centres of decision, changing the conditions, so that a new basis must be found for the next decision’: ibid  cited at  Warkworth v Bulga. Warkworth contended that Preston CJ adopted a polycentric approach without raising in the proceedings his intention to do so. State Environmental Planning Policy (Mining, Petroleum Production and Extractive Industries) 2007. ← How do Australian environmental laws compare?